Millions of visitors to Canada's national parks can add cannabis to their camping kits. Parks Canada said people can consume marijuana at their campsites after it becomes legal Wednesday. Campers heading out to one of Canada's national parks can start adding cannabis to their kit. Parks Canada confirmed this week that marijuana can be consumed at its campsites — part of a policy of offering visitors a "consistent and predictable" experience at national parks across the country. "While Parks Canada campgrounds are public areas, the agency treats individual campsites as temporary domiciles for our visitors. 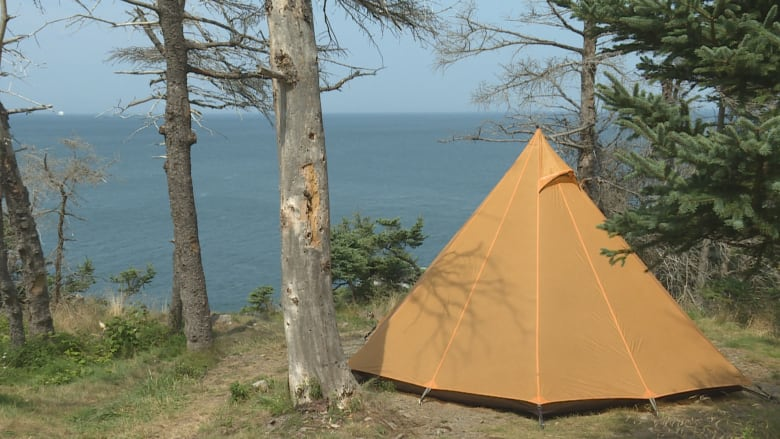 For this reason, at Parks Canada campgrounds, consumption of cannabis will be permitted in campsites," spokesperson Marie-Hélène Brisson wrote in an email. In some provinces — British Columbia, Alberta, Ontario and Quebec, as well as Nunavut and the Northwest Territories — campers will be allowed to smoke marijuana on hiking trails, as long as those trails aren't within the campgrounds themselves. Marijuana won't be permitted in common areas within campgrounds, either — such as playgrounds, kitchen shelters, washrooms, parking areas or roads within Parks Canada's networks of parks, national historic sites, national marine conservation areas and historic waterways. Brisson said Parks Canada's approach to cannabis will be similar to its policy on the possession and consumption of alcohol. "As with alcohol, from time to time Parks Canada may implement specific prohibitions on consumption in specific campgrounds or at specific times of year as operational requirements arise, or in an effort to ensure that all visitors enjoy their stay," she wrote. Parks Canada said campers should learn about local provincial, territorial or municipal laws on cannabis before bringing marijuana to a national park — and warned that marijuana impairment can increase the risk of serious injury from wilderness activities. "It is important to maintain environmental awareness and a clear mind when performing activities in Parks Canada's places to help prevent accidents, incidents or injury," Brisson wrote. Cannabis becomes legal for recreational use in Canada on Wednesday. Each province and territory is setting its own rules on pricing, the legal age for consumption, where marijuana can be purchased and where it can be smoked. The federal government has announced that Canadians also will be allowed to take up to 30 grams of cannabis with them on domestic flights. Transport Canada told CBC that legal amount can be carried in either a checked bag or a carry-on. While smoking is forbidden on commercial flights, there is no such ban on consuming marijuana in other, non-smokeable forms before landing. Asked about its policy, Transport Canada would only point to its rules regarding 'dangerous behaviour'. It remains illegal to transport cannabis outside of Canada, even to another jurisdiction where it's legal. Transport Canada is warning travellers about the laws by erecting signs at airports, ferry and cruise terminals, and at railway stations at exit points from Canada. The department also has been working with provinces and territories to install road signs near the border. So what would happen in the event that a Canadian domestic flight is diverted or forced to make an emergency landing in a U.S. jurisdiction where cannabis is still illegal? A government official, speaking on background, said that flight would either sit on the tarmac with the passengers aboard, or allow the passengers to disembark but limit them to a secure area until the issue with their flight is resolved and they are able to return to Canada. "In either case, the passengers would not technically be entering the U.S. unless they were to present themselves to a U.S. Customs and Border Protection officer and make the formal application to do so," the official said. Canada Post, meanwhile, is bracing for an increase in pot deliveries. It said that with its experience in delivering up to a million parcels a day — and with shipments of medical marijuana — it's ready to handle the volume. Proof of age will be required for all Canada Post pot shipments from licensed sellers, or those delivered to be picked up at a postal outlet. The postal service has been training staff in the run-up to legalization. "In preparation, we have been ensuring our employees understand the expectations in terms of proof of age, handling the product from pickup to delivery and how to deliver safely," Canada Post spokesperson Phil Legault said.